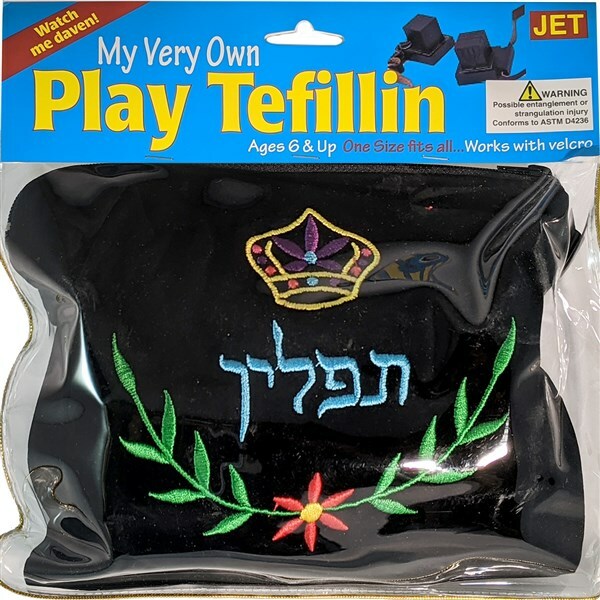 Very realistic looking play tefillin. 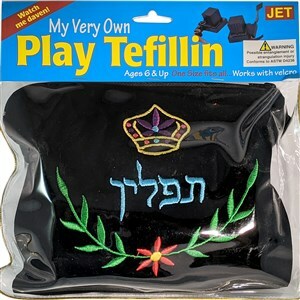 Includes cases, velvet bag, and zippered plastic bag. Velcro fastening. No slip knot for safety. Instructions included.